I’ve been a cultural disciple to San Miguel de Allende for the fourth time in four years in the last week. 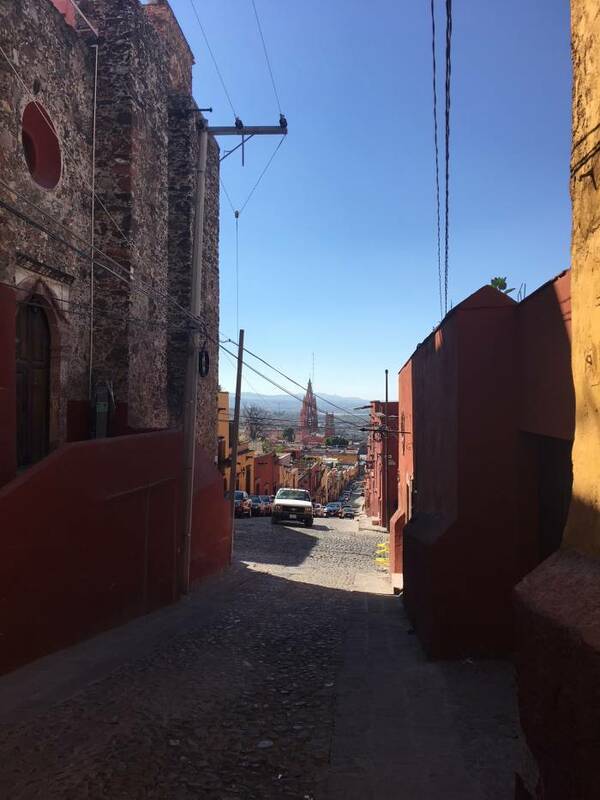 San Miguel de Allende is a Mexican community of about 150,000 residents, founded in the early 1540s. It’s in the central highlands, 274 kilometres north of Mexico City, in the far eastern part of Guanajuato State. Its name recognizes both a 16th century religious figure, Friar Juan de San Miguel, and a hero and martyr of the Mexican independence movement, Ignacio Allende. Together, they bequeathed a history of church and state to a new country that reflected the colonial imposition of Catholicism, at the same time as a desire to be strictly independent of colonial Spanish political roots. At San Miguel’s architectural heart is the storied Parroquia de San Miguel Arcangel. Its pink stone neo-Gothic architecture is visible from all four corners of the town. El Jardin, the central zocalo (town square), is just opposite the main doors of the Parroquia and provides a green respite to the towering presence of the church. In between, on the cobblestoned open space, throngs of tourists, street performers, hawkers of straw hats, woven shawls and religious trinkets, and students of all ages fill the day with multiple spoken languages, constant motion and bands of changing colour. 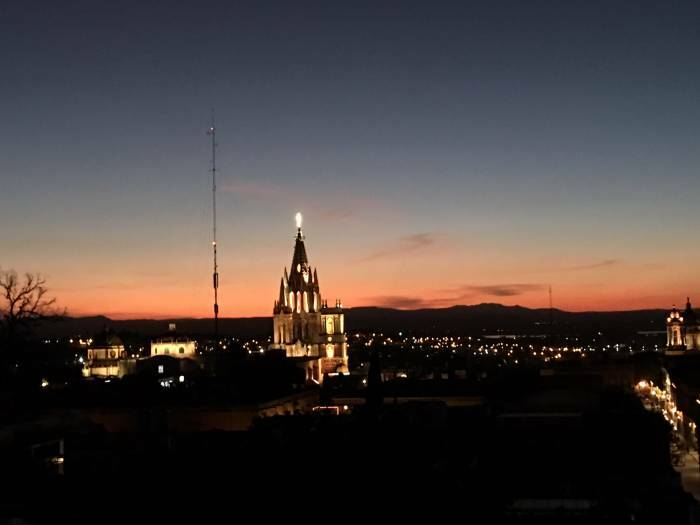 While San Miguel de Allende is obviously Mexican, it’s also obviously multicultural, reflecting indigenous, European, North American and South American roots in its contemporary incarnation. It’s arguably Mexico’s most liberal, artistic enclave of citizens, part-time residents, expats and tourists. How it got this way, some 1,900 metres high in the Sierra Madre, far from beaches and palm-fringed resorts, is a matter of constant discussion. These deliberations, increasingly held in some 4,000 local Airbnb casas and casitas, often involve new acquaintances who share many of the same enthusiasms. They are rooted in critical thinking, progressive thought and creative occupations. San Miguel de Allende has a knack for drawing these folks together. Part of the reason for this aggregation can be traced to the influenza epidemic that emptied out the town in the early 1900s. Also at play is the miraculous way its baroque neo-classical 17th and 18th century colonial architecture and cobbled streets survived into the 20th century. We’re staying in 266-year-old Casa Santa Ana, the Mexican general’s home in 1833, on San Francisco Calle in the heart of the old town. It’s visually, culturally and mentally stimulating. Where else in the New World is this housing option available? 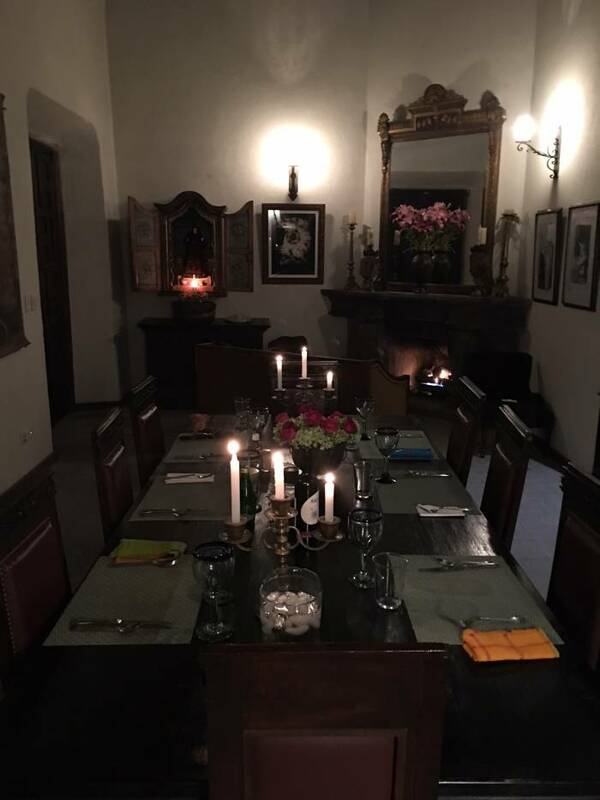 The progressive rediscovery and rehabilitation of San Miguel de Allende really began in the post-Second-World-War era. Visiting artists, many of them former U.S. soldiers studying on the GI Bill, made their artistic homes at the Instituto Allende and the Escuela de Bellas Artes. They created personal studios in beautiful stone and masonry homes dating back to the 1700s. San Miguel’s designation in 2008 as a UNESCO World Heritage Site added to its international cachet. Social media, the recruitment of social influencers and bloggers have since created a tourism boom. And herein lies a caution. 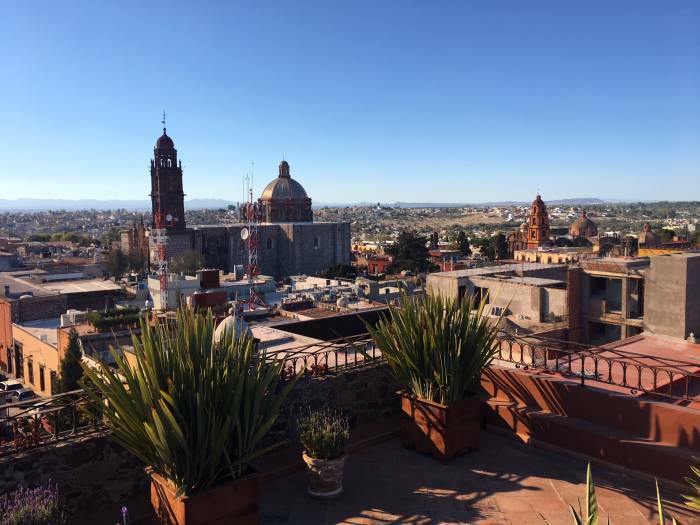 As fourth-time visitors to San Miguel, we’re noticing the tourism boom and all it entails. There are more cars and buses on the narrow streets; the air quality is worsening; prices of goods and services are rising; boutique hotels and restaurants are everywhere under construction; and locals are selling their casas in the Centro district and moving to growing suburbs. We’ve see this pattern before. While the scale is radically different, in many ways it parallels Vancouver. Once the international aficionados discover a new location, the outcomes are in many ways predictable. That should keep new and old cultural disciples happily coming back to San Miguel de Allende.